A few weeks ago, I had the pleasure of joining Martin Bauer (lasern lasern) on a roadtrip to Bremen. Up at the crack of dawn, we were bound for Fabcamp Bremen, a barcamp for fablab founders and enthusiasts organized by Axel Grischow and Karsten Joost The 5am wake-up and three hour drive was well-worth it! We arrived in the Kunsthalle Bremen to a bubbling room of 30+ people, convening from all parts of Germany and the Netherlands to discuss how to bring Fablabs online in their cities and how to connect the projects. The Netherlands is leading the Fablab scene in Europe, by many accounts, and with great people like Ton Zijlstra, Peter Troxler, and Bart Kempinga, they’re really building an amazing community. Ton shared his thoughts on the Dutch Fablab network and why it was successful — an important difference between their set-up and Germany’s is the ease of founding a non-profit and collecting government money. Still, much of their impact can be replicated in Germany, I think, and to some extent, it’s already beginning. In that vein, we learned about the first Fablab in Germany, launched in Aachen and represented by René Bohne, also known by his cocktail box fame (great idea, by the way). At Fabcamp, makers from Stuttgart, Düsseldorf, and of course Berlin were present, discussing their local challenges and learning from others what it take to bring a local fablabs online (in short, some starting capital, a decent space, and a core team to run it). Fortunately, there’s been headway on the Berlin front. Betahaus, together with the Berlin maker-machers like Jay, Martin, Phillip and others, have been conspiring how to find the right machines, pay the rent, and get folks excited about making in this great city. The brainstorming is in its early stages, but these are the perfect people for the job, and it would do wonders to have a physical clubhouse for all the open design and fabbing this city pumps out. To that end, and somewhat relatedly, the tentatively named “Berlin Beta Collective”, of which I am a part, is organizing an Open Design hub at DMY, the renown Berlin design festival. More on that later! Back in Bremen, we were awed by the demos and ideas the participants brought with them. In particular, I found the total 3D modeling & printing solution from A1 Technologies to be quite impressive. 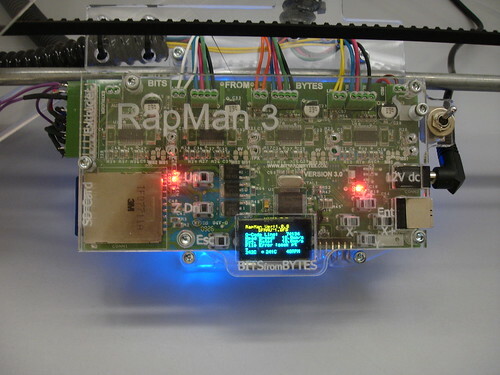 Their set-up, available for under $2,000 and for the most part open sourced, brings you a 3D scanner (David), a haptic touch 3D modeling program, and the RapMan 3D printer. With this kit, you can scan any number of objects, manipulate them in your graphics program, and print out a prototype in a matter of minutes. A1 explained that their solution is great for the developing world and doctors on a budget; with their gear, you can scan vertebrae, tweak the contours, and print out a working piece for your patient right in the office. Other fun toys were the immensely complex, multicolored 3D prototypes from fabtory. Granted, the machines they were using cost upwards of half a mil, but the products offered an outstanding range of possibilities. 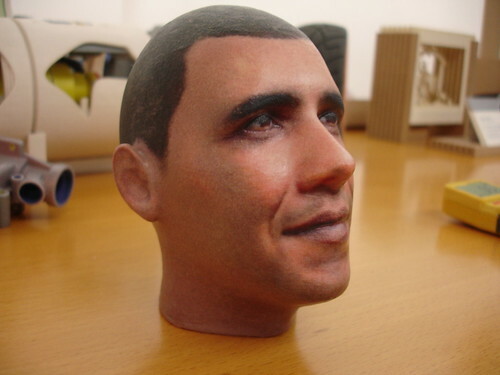 In one piece, for example, you could have 7 or more different consistencies of the material, or a blend of colors, or a crazy Obama bust with a photo of Merkel printed inside of it. These are definitely industry solutions for the time being, but as tools like Makerbot and RepRap become more sophisticated, I won’t be surprised to see such models popping up for a fraction of the cost. Beyond the tech show-and-tell, it was great to meet the Fablabbers and talk about where the “movement” was headed in Europe. Business plans abound, but in many places, it still remains a challenge for these work/play stations to finance themselves. I’m really looking forward to collaborating with the Dutch teams, who were so knowledgeable and enthusiastic, and very open to helping bring the German scene online. Fortunately, we’ll be seeing more of them, like the Waag team who will join us at the Open Design event at DMY and the others at the annual global Fablab meet-up this year in Amsterdam. A truly exciting time for “the risk-takers, the doers, the makers of things”! Thanks for a great write-up of the Bremen event. It’s great to see how it is sparking energy in different places in Germany. The Düsseldorf-guys decided to start immediately with the gear they already professionally own. The Nürnberg team is hunting for a space in their city. 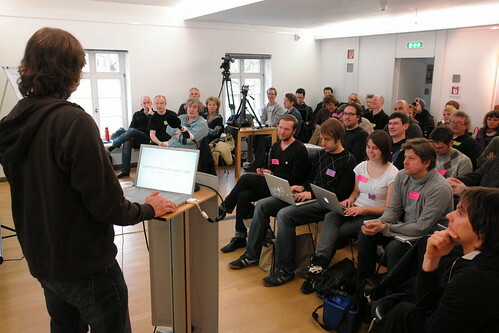 And there might be a second FabLab Barcamp in the Munich area soon. I am glad we got to be part of helping to get that energy flowing. It will also be the place where you eventually can register for the conference. It was good to meet you in Bremen! Will definitely keep an eye on http://fab6.nl/ for news about the global meet-up this summer. Won’t want to miss that!